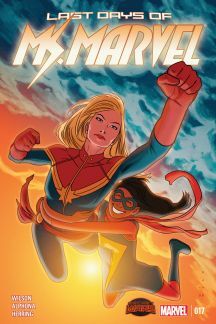 Wilson is best known for her work on Ms. Marvel (2014), in which New Jersey teen Kamala Khan takes up the mantle (and title) of her hero Carol Danvers. I’m a huge fan of teen superheroes, and this series delivers in spades. Kamala is a Pakistani-American, and a Muslim. She wrestles with the alienation of a marginalized teen – feeling unable to live up to her hero because she isn’t a tall blonde amazon – but where many books might have given her a draconian family, Kamala gets a community. While her folks might not understand her, they love and support her. 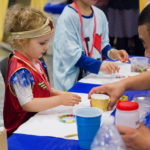 Like its title character, the book Ms. Marvel has picked up where its predecessor left off, inspiring its fans, the Kamala Korps, to form communities and do good works. It won the 2015 Hugo award for Best Graphic Story and the Autostraddle Comic and Sequential Art award for Favorite Big Two Book. 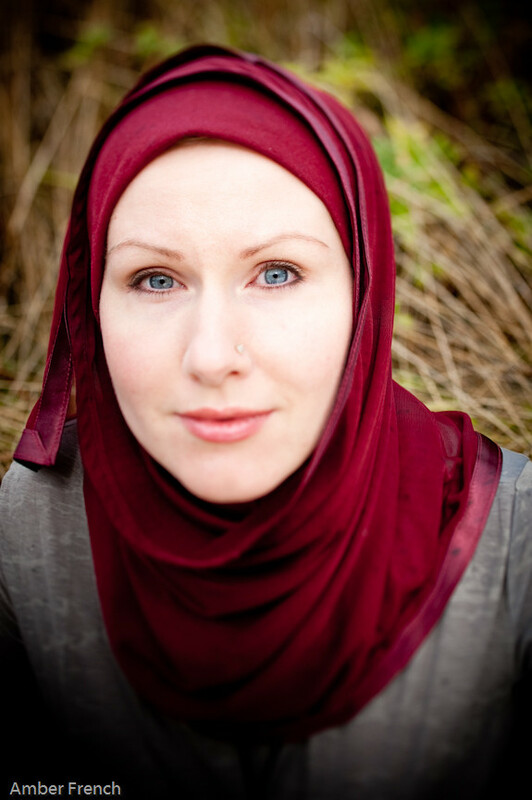 Her other work includes The Butterfly Mosque, a memoir about spending much of her twenties in Egypt, and the graphic novel Cairo. You can read her current work on the all-female Avengers team A-Force, which she co-writes with Marguerite Bennett. The title is part of the current Marvel event Secret Wars, which is having great fun letting writers and artists loose on their favorite characters, mixing and matching from different universes and time periods. 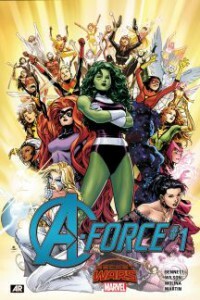 Wilson explicitly describes A-Force as an attempt to course-correct and spotlight female characters whose stories were cut short in the past. 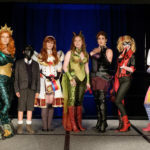 A FORCE comes out of a very specific conversation about gender in comics that has been evolving rapidly in the past few years, driven as much by fandom as it is by creators and editors. Across the industry, we have been systematically un-fridging […] female characters who may have gotten short shrift in the past, looking at their backstories, and discovering, as a community, what has been left unsaid. 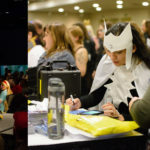 Join her on Sunday at 1:00pm for a panel on “Women, Diversity and Comics: A Non-Compliant Discussion About The Comic Book Industry,” and look out for her at a signing table near you! Further details can be found in our programming schedule.